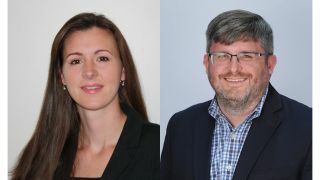 Ametek Electronic Systems Protection (ESP) has promoted long-time employee Lauren Simmen to manager, marketing, and added Charlie Jones as the new regional manager, sales, for Eastern territories. Simmen is responsible for communications across the Ametek ESP division for both the SurgeX and ESP brands, and for the management of strategic partnerships and programs, product development roadmaps, product marketing, trade shows, and events. Simmen joined the SurgeX team in 2012 as director of communications and partner support, and rapidly progressed to regional manager, sales. In her new position as manager, marketing, Simmen will work with sales, engineering, and operations to promote unified company messaging to internal and external audiences. In her new role, Simmen draws from her years of experience within the company and from face-to-face time at training and other events across the country, where she has long-standing relationships with dealers, representatives, and distributors alike. Through her sales initiatives over the years, Simmen has helped develop the marketing tools ESP uses to support the integrators who both sell and support SurgeX devices in the field. “We’re incredibly excited to promote from within the company and announce the appointment of Lauren as manager, marketing,” said Rick Komendera, manager, sales, for Ametek ESP. “Lauren’s promotion is a huge win for Ametek ESP and our customers. “I am both honored and eager to embark on this new opportunity and begin the next stage of my career,” Simmen said. “We are so fortunate to have such a loyal, dedicated dealer base. I am very excited at the prospect of producing programs and materials that will elevate their businesses and allow them to continue to thrive. Jones rejoins Ametek ESP as regional manager, sales, for the Eastern territories from Sennheiser Electronic Corporation; he previously worked for SurgeX as the Southeast regional sales manager. In that position, he managed multiple independent sales representative firm accounts, grew SurgeX sales, and educated dealers on new products and technologies.